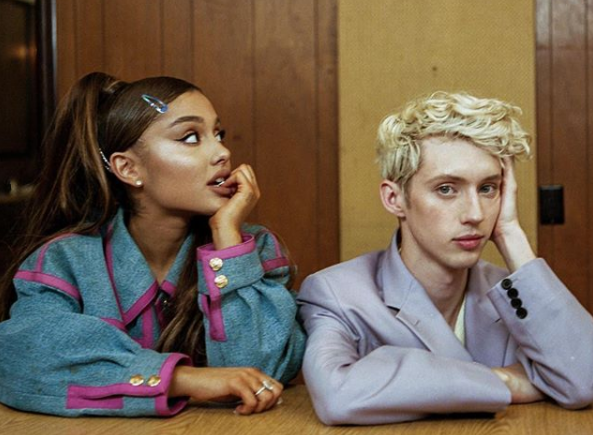 South African-born Australian actor and singer Troye Sivan has released the video for his song, 'Dance To This', featuring Ariana Grande. The 23-year-old is his usual happy-go-lucky self in the Bardia Zeinali-directed video. Troye and Ariana dance together while performing in what appears to be a rec-room cafeteria - not the best place for a party! But the singers appear to be having the time of their lives. 'Dance To This' is off Troye's upcoming sophomore album, 'Bloom' - which is due for release on August 30th. The 'My My My!' hitmaker is also gearing up for his North American 'Bloom' tour, which kicks off on September 21st. It seems everyone wants a piece of Troye. He got to perform with Taylor Swift during the California leg of her 'Reputation' tour in May. T-Swizzle said she is "obsessed" with Troye. We can't get enough of him either. Watch the video below. Ariana Grande's hit single, 'No Tears Left To Cry', is currently at number six on The Chamberlains Top 20.